Click here if you are a Hotel Executive looking to find innovative business solutions. 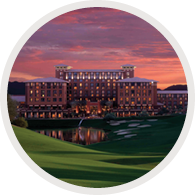 Click here if you are a Supplier looking to connect with leading Hotel Executives. HotelPoint brings together Hotel Brand Executive and Owner/Operator Executives responsible for architecture, construction, renovation and engineering for their organizations with innovative Suppliers to explore business opportunities and forge relationships in a variety of settings designed to improve their business and to expand their business partnerships. Conducted in a business-intensive format, HotelPoint is a one-of-a-kind, strategic trade forum for the Industry.